Dee Vine Wines, San Francisco CA. This is AP#6; made without botrytis from older vines. Emerald. Reductive so decant. 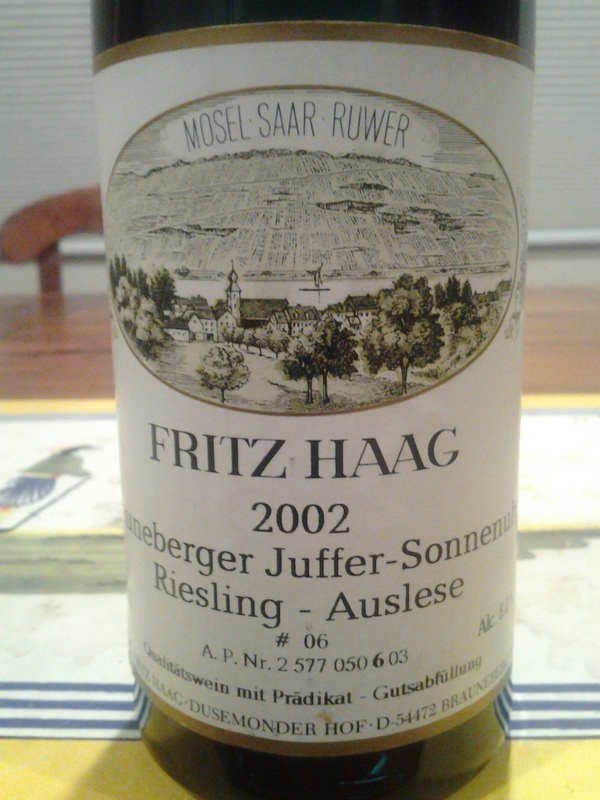 Para-slate nose, it’s Riesling as titanium. Banshee’s energy allied to the seductive glow and glossy texture that marks the Sonnenuhr. Like a tarragon yogurt napped in iron. The finish deftly manages to be both intricate and delicious. Now – 2032+.